Sustainability has rapidly developed to be at the forefront of business, with organisations looking to operate in the most environmentally friendly way possible. Recycling is one way you can do your part and preserve our environment and natural beauty for future generations. 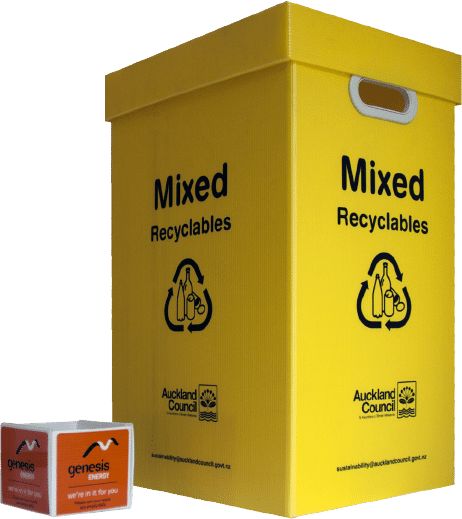 Port Nicholson Packaging supplies schools, businesses and institutions with a complete range of recycling bins and trays. Our range of colour coded bins with lids will prove popular with staff, and quickly overcome recycling reluctance. The colour codes align with the international recycling protocols. Our trays and bins are made from fluteboard (fluted polypropylene), a robust light material which is 100% recyclable (grade 5). There are a number of options to customise these products to meet your requirements.